Death is a scary thought. And people don’t want to think about life insurance because no-one wants to think about what will happen when they die. But unfortunately, every person has to think about this. If a person dies, their family might suffer financially when they are gone. And life cover makes sure that your family is covered when you aren’t there to provide for them anymore. Life insurance is a legal contract you get to provide financial protection for when you pass away. It is a contract between an insurance policy holder and an insurer or assurer. 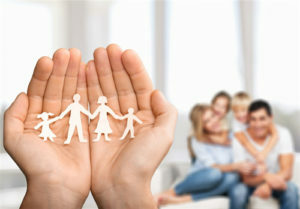 The insurer pays an amount of money to the beneficiary in exchange for a premium upon the death of the insured person. The sum of money can also be paid out with critical or terminal illness, depending on the contract and type of cover. There can be different benefits, depending on the contract, such as funeral expenses benefits. There are limitations of the insured events stated in the contract, with specific exclusions such as claims relating to fraud, suicide, war, civil commotion, and riot. This policy provides a guaranteed payout; it is a more comprehensive coverage. With this cover, the insured person pays for the plan from the day they invest until the day they die or decide to cancel the policy. The policy cash builds up from the monthly premiums. When the insured person dies, it pays out to their estate. With this type of cover, the insured person doesn’t have to worry that their health will make them uninsurable. At the time when the policy has been paid for an extended amount of time, the insured person will be able to borrow money against the policy. The premiums for this type is higher than the premiums for term life insurance. This type covers you for a certain amount of time. This can be purchased for ten, fifteen and twenty years. This is nice to have for people who feel they only need the cover for a certain amount of time. This type is reasonably priced, but it doesn’t have the cash investment option once the policy has been paid in full. The cover will cease to exist at the end of the predetermined term. If the insured person passes away during the predetermined term, the policy pays out to their estate. This type is almost like whole life insurance, but it has an investment option. Every time you pay more than the monthly premium, the additional cash amount is credited to your account. And you will earn interest on that cash amount each month. This offers rapid growth on investment. This is a type of cover which is limited; it is especially to insure a person for the incident when they die due to an accident. This includes deaths caused by abrasions to catastrophes. This cover does not contain non-accidental related deaths such as health problems or suicide. This type of policies is a lot cheaper than other kinds of life insurance. Investment policies – these policies are designed to facilitate the growth of capital by premiums. This is good if you want to invest money in the insurance. Whole life insurance and term life insurance falls into this category. Protection policies – this is designed to provide benefit in the event of death. This benefit usually is a lump sum payment. Term life insurance falls into this category. Who should have it and why? Every person who has dependents should have life insurance. If you have an income and people rely on you for food or clothing or a roof over their head, then you should get it. This is critical for anyone to have. If you have children, it might be difficult for your spouse to be able to care for them alone and be financially stable to give them everything they need. But when you have life assurance, you provide your spouse with the necessary finances to take care of your children. It provides financial security for your loved ones when you are not there to take care of them anymore. You don’t want your family to be unable to take care of themselves when you are gone. 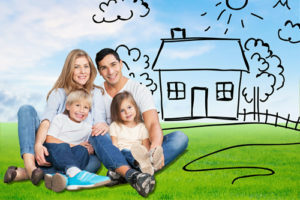 You want to be sure that your family will be able to afford a place to stay and have food. And for your children to have a good education and to be able to get a good job and be able to take care of themselves. You can get it at any life insurance company. There are a lot of different companies who provide protection, and all of them have different prices and different deals. That is why you should do research on all of them and get a lot of quotes to be able to choose the best one for you and your needs. You can click on the banner on the right-hand side, fill in your details and someone will get back to you with a quote. 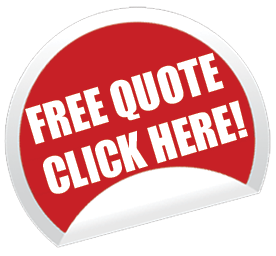 For other types of insurance click here.